"I would like to tell you how very much I'm enjoying your Journal and how very helpful it is to a rank beginner." Water gardening and Japanese gardens are directly related. The Japanese have been building water gardens for more than 1000 years, and nearly every Japanese garden includes water in some form or another. The world's most renown landscape architects and water garden specialists have traveled to Japan to study their gardens. With such an impressive legacy it makes sense that even the most casual backyard water garden enthusiasts might benefit by taking a look at the Japanese garden tradition. The hallmarks of a great Japanese garden koi pond or water garden are natural beauty, craftsmanship, and impeccable pond and landscape maintenance. Of particular note are Japanese pond construction techniques. Every edge boulder is precisely placed to hide any hint of the concrete or clay vessel below. Pond waterfalls are constructed using the very best stone and in an understated manner that complements rather than overwhelms the scene. Aquatic plants are used sparingly, but even as a minor element they receive serious attention as grace notes. 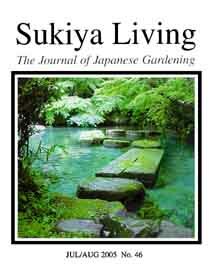 JOJG publishes regular articles that are related to water gardening. Some articles discuss water garden design. Other articles might talk about how to build a waterfall, how to properly set koi pond edge boulders, or how to evaluate water garden pumps. Water garden plants are used somewhat infrequently in Japan, but JOJG does publish occasional water lily articles and articles about how to successfully mix water lilies and koi ponds. WATER GARDEN DESIGN The difference between a boring pond and a really special pond often involves layout and design. These articles discuss garden pond designs and how to create water features that are naturally convincing and stunningly beautiful. JAPANESE-STYLE WATER GARDENS Nearly ALL Japanese gardens can, in some way or another, be categorized as water gardens. These articles explain how to add a "Japanese touch" to your own backyard landscape and water feature. CONCRETE POND CONSTRUCTION The world's finest swimming pools are made of concrete, as are the world's largest dams and other engineering marvels. Concrete is still the material of choice for high-quality vessel construction. These articles explain how to do it right. WATERFALL CONSTRUCTION One of the biggest challenges faced by water garden enthusiasts is how to handle and place the large rocks used in waterfall construction. These articles discuss different styles of waterfalls and how to create them. AQUATIC PLANTS Water lilies rival Japanese koi as two of the most exciting hobbies in Western countries. These articles focus on the water lily and other water garden plants. WATER GARDEN SUPPLIES "Where can I get such-and-such?" 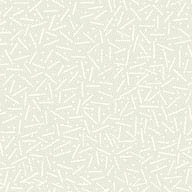 is a common question posed to JOJG's editorial staff. These articles deal with water garden supplies and where to purchase them. FARM POND CONSTRUCTION Japan's most famous gardens are centuries old and typically include clay-lined streams and ponds. From a water gardening point of view, they are essentially dressed-up farm ponds. These articles discuss clay and the role it has played in Japan's water garden tradition.